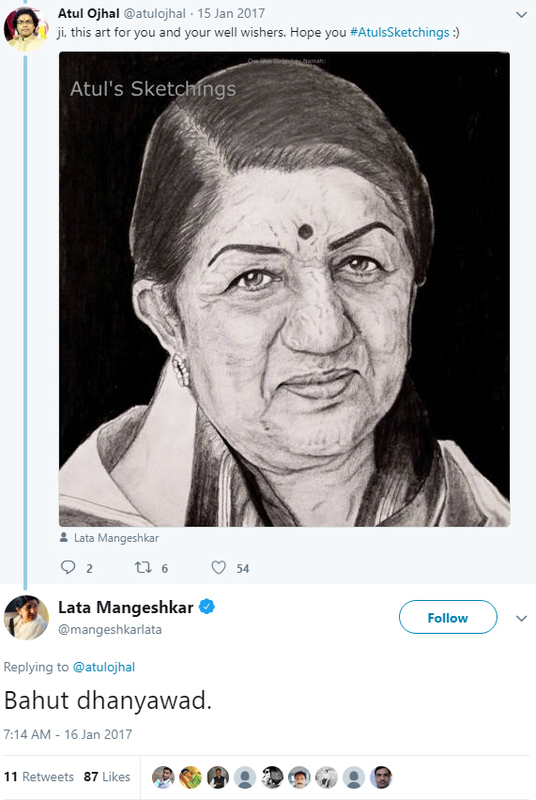 Bharat Ratna Lata Mangeshkar acknowledged the art work and thanked the artist. 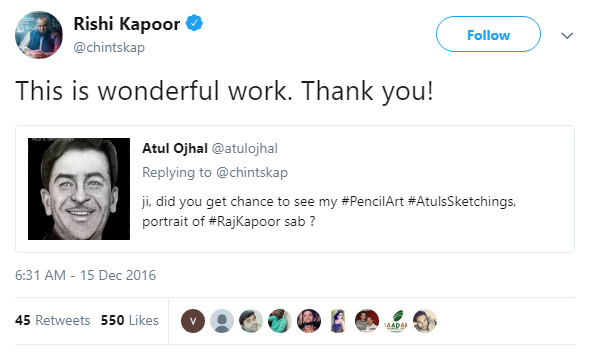 Bollywood Actor Rishi Kapoor praised his father Raj Kapoor’s portrait. Dream Girl Hema Malini appreciated the art work and autographed. 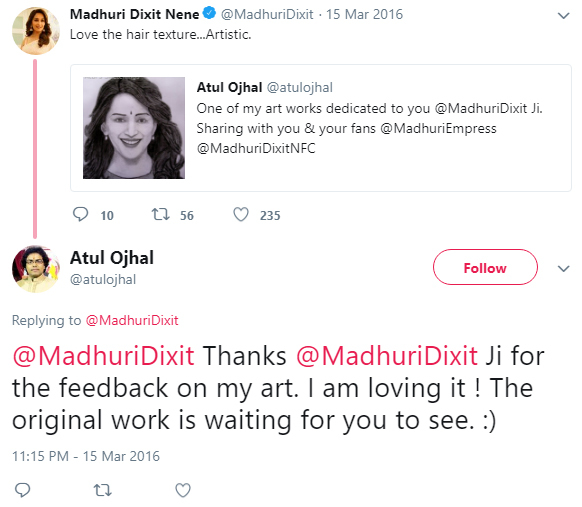 Bollywood Diva Madhuri Dixit praised the art and complemented the hair style in it. 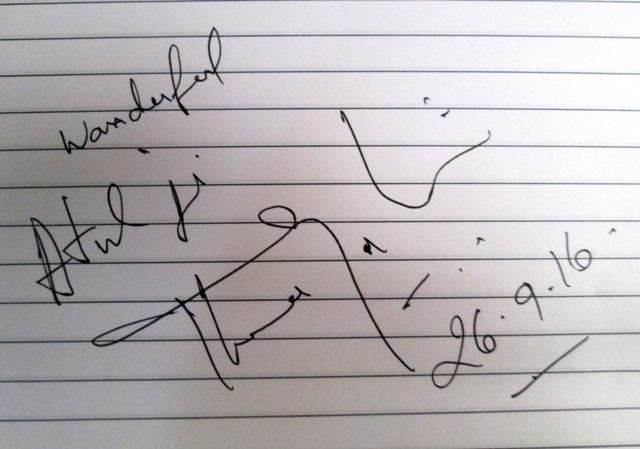 Sarod Maestro Ustad Amjad Ali Khan wrote an appreciation note on the book gifted to the artist. Grammy Award Winner Pt. Vishwa Mohan Bhatt praised the art and the artist. 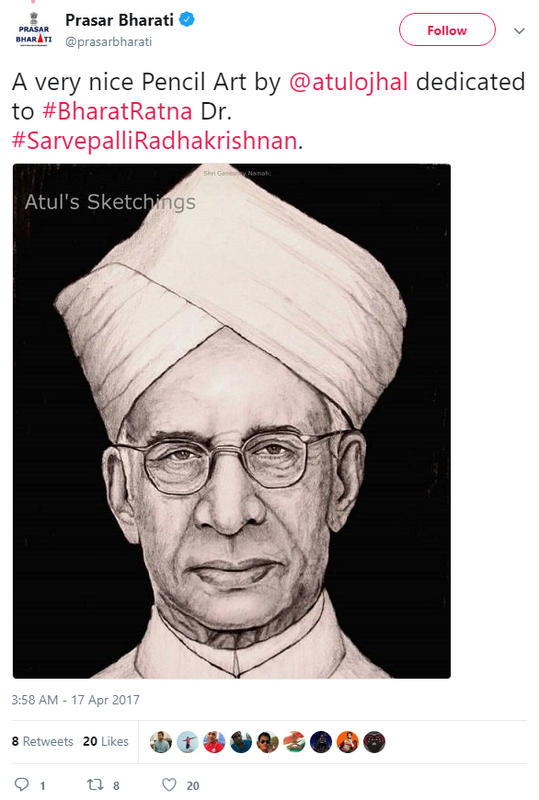 President of India Bharat Ratna Dr. A.P.J. Abdul Kalam wrote an appreciation note in his own hand-writing. Bollywood Shahenshah Amitabh Bachchan complemented the artist in his exceptional way.